The Youth Fellowship followed in the greatest of all Scottish traditions in serving up the Great chieftain o the puddin’-race! 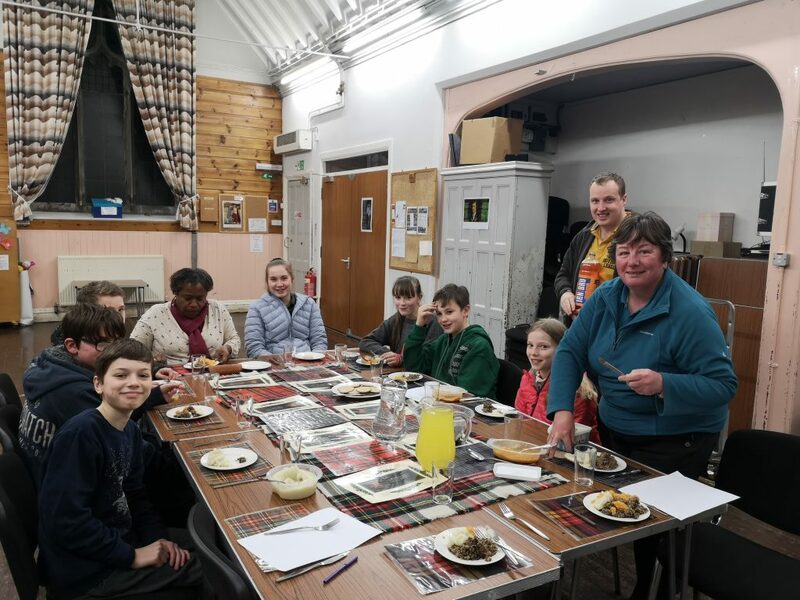 YF has traditionally served up a range of Burnt food, so this Burns night may not have been any different. The evening started with songs and tales, but no turns were taken by our lot. A burns related quiz on the Scots language set up some hilarious answers of the potential meanings of words we don’t often use these days. Then a search in the dark for a Wee, sleeket, cowran, tim’rous beastie who was found hidden amongst the nativity scene. This was still in sharp contrast to the YF hitting sticks the week before that had leaders (and rectors) flying across the hall in the most violent and traditional of YF sports. Then same hae meat and canna eat, some wa eat that want it, but we had meat, and we can eat, sae let the lord be thank it rang around the hall before the HaggisNeeps and Tatties were served, suprisingly not burnt at all! We even had the New Testament in Scots. 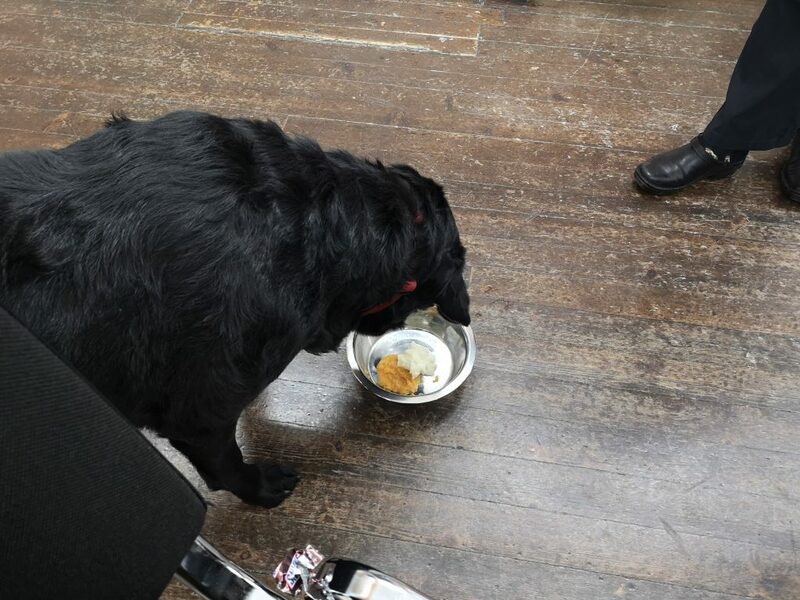 It was enjoyed by everyone including our mascot Bubbles, who whilst not allowed Haggis ate the rest. Huge thanks to everyone involved including those who provided the placemats.